The management of emergencies, in particular those determined by natural events, is complex and must be able to use all the available cognitive elements. During emergencies, it is possible to acquire useful data regarding the processes that determine the same emergencies. These data can contribute to significantly improve planning and design of prevention interventions. 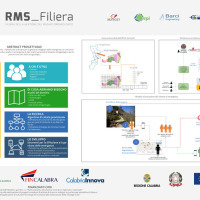 To offer to Local Authorities and Civil Protection an instrument able to provide effective support in the management of emergencies, in monitoring the variations of risks on the territory due to climatic events and in assessing the geomorphological changes of the territory. 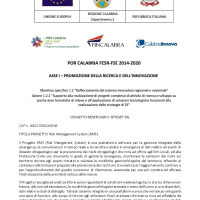 To provide the institutions responsible for risk prevention with a tool for continuous updating and for the deepening of the knowledge framework of reference. This is essential for a more correct and effective identification of the priorities for the use of resources and for the design of prevention interventions. Analyses and synthesis of data that contribute to the management of emergencies, in particular geo-hydrological ones. Validation and release of data and procedures collected and implemented for the purposes of the project, respectively. Criteria, references and data for the identification of the procedures for the construction of the risk management algorithms, based on the cognitive weight. General design scheme of the algorithms for the construction of the matrix of intervention scenarios. Enabling technologies, tools for managing emergencies and ordinary conditions, dissemination tools. 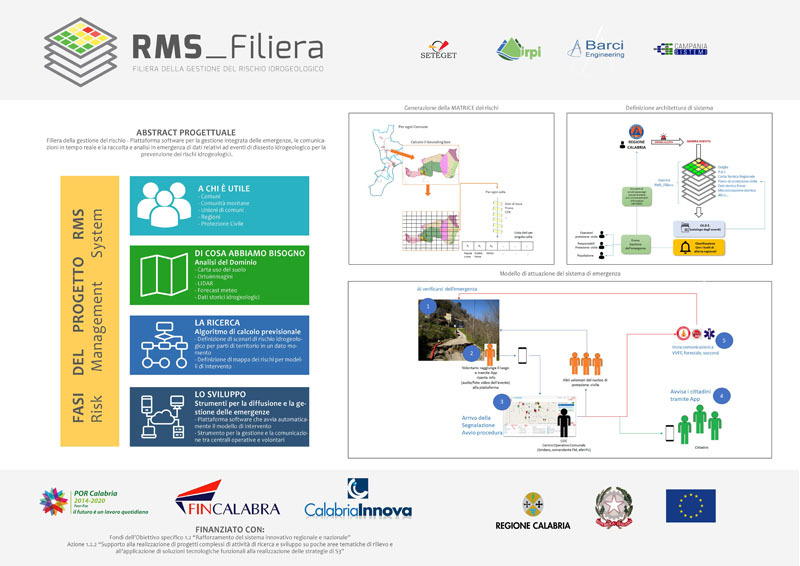 Prototype of a tool for integrated management of emergencies, real-time communications and emergency collection and analysis of data related to events of geo-hydrological instability for risk prevention. Reports of the Project. 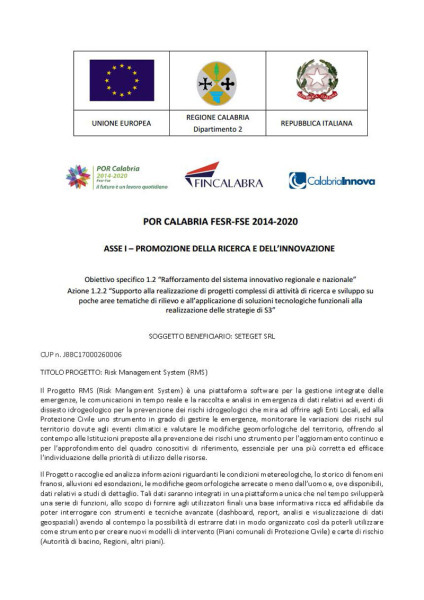 The results achieved and the expected products will provide, to local authorities and civil protection, an operational support, designed and developed on strong technical-scientific bases, for the management of emergencies caused by events of geo-hydrological instabilities, and for the start-up and update of the chain for prevention.